It's hard to know where to begin since I was last here so I'm going to focus on the here and now. Our plans to leave our large family home in the hills and move to the beach became a reality late last year. Not without lots of effort in readying our old girl for sale and lumps in throat as saying goodbye became a reality. We had built our hills house and our youngest had memories of no other, so it was a bit of a wrench. The great news is that we love our new life by the sea. It's even better than we hoped. 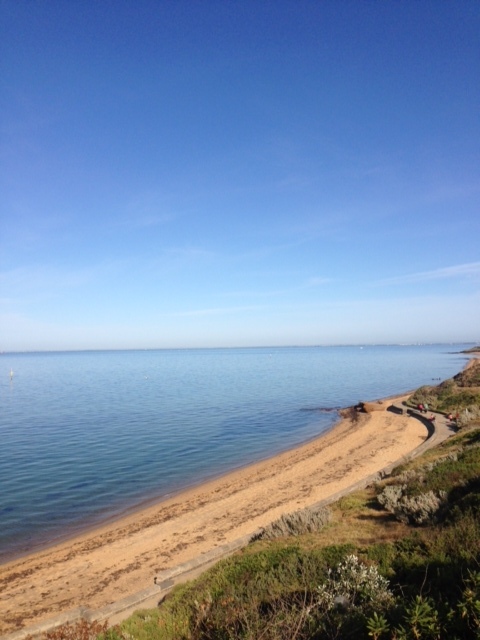 Early mornings we get up at the crack of dawn, mosey down to the shops with the pooch, check out the sea, sniff the air and go to one of our local coffee haunts. A short walk back to our little house with the smell of the sea in our skin and ready for the day. A smaller house and garden means more time for doing other things - going out, meeting friends, reading, binge tv watching True Detective Series 1 (I know, late to the party) and just hanging about - something I haven't done in a long time. I'm learning how to do it again - it's awesome but I keep having to have stern talks with myself about not feeling guilty about it! 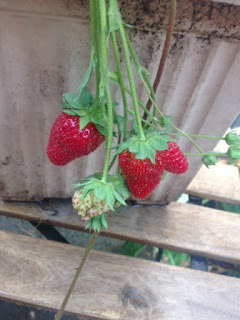 I've grown strawberries - look! They tasted delicious, so sweet and satisfying. 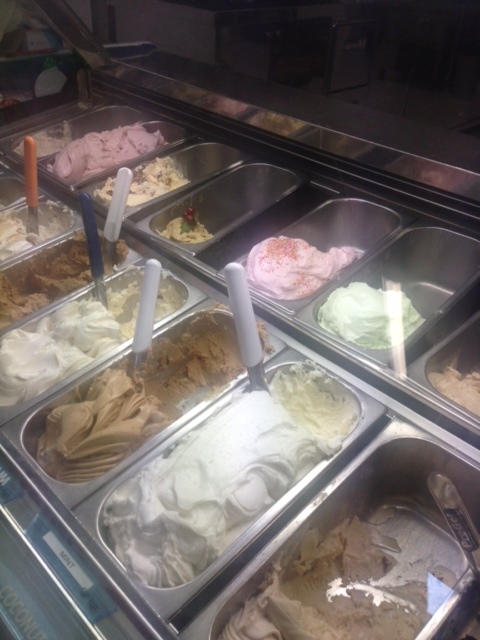 I'm not a big fan of ice-cream but there is a great gelato shop nearby and I'll happily have a taste of this - tubs of fluffy gelato sings of summer to me. I feel very lucky to be right where I am.